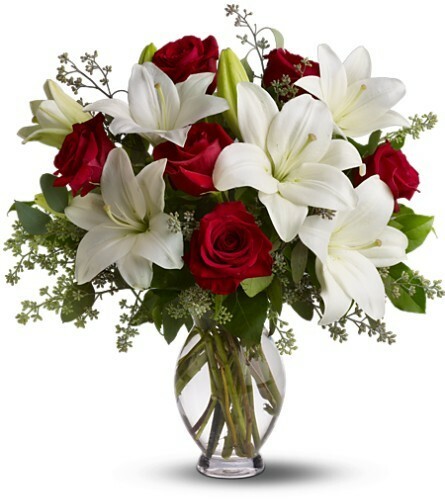 Roses and Lilies 59.95 The look of love plus the scent of love. What woman could resist the heavenly fragrance of lilies along with the beauty of passionately red roses? Silly question.